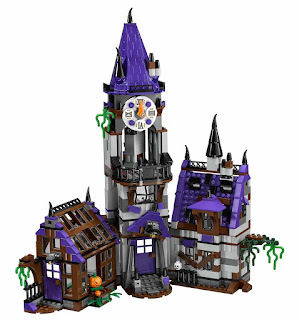 come with a mystery mansion. 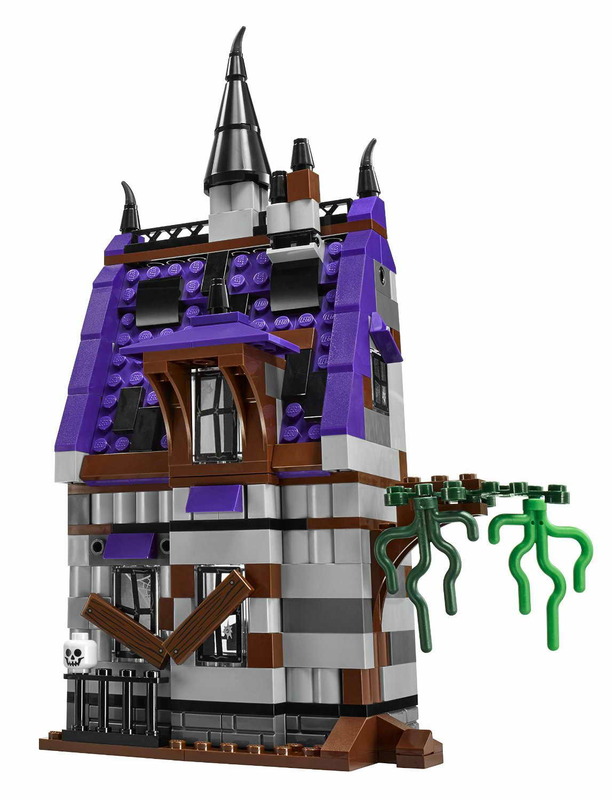 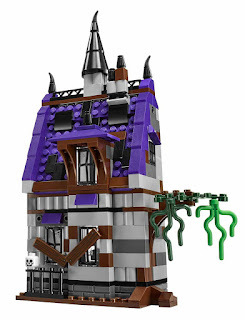 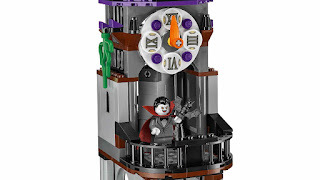 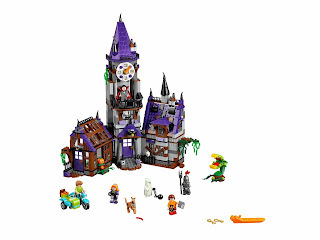 the mansion has a clock tower with a midnight spinnable wall, a roof with a vampire coffin, a conservatory with broken windows, a man eating plant with ‘snapping mouth’ and 2 pumpkin heads, a kitchen with cupboards, a sink, a pot, a giant buildable hamburger, a brick built morning star pendulum trap, an openable safe with 3 golden bars, a hidden compartment with a golden key, special brick with a mystery clue, a pot, a skull minifigure head, a rat and a bat. 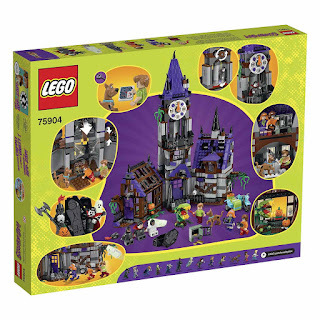 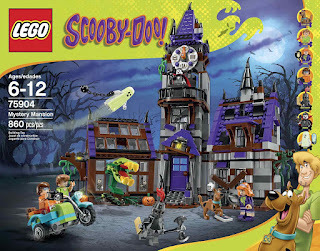 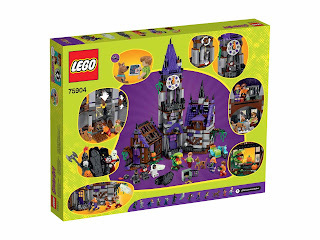 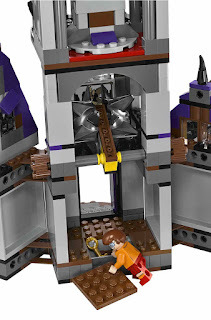 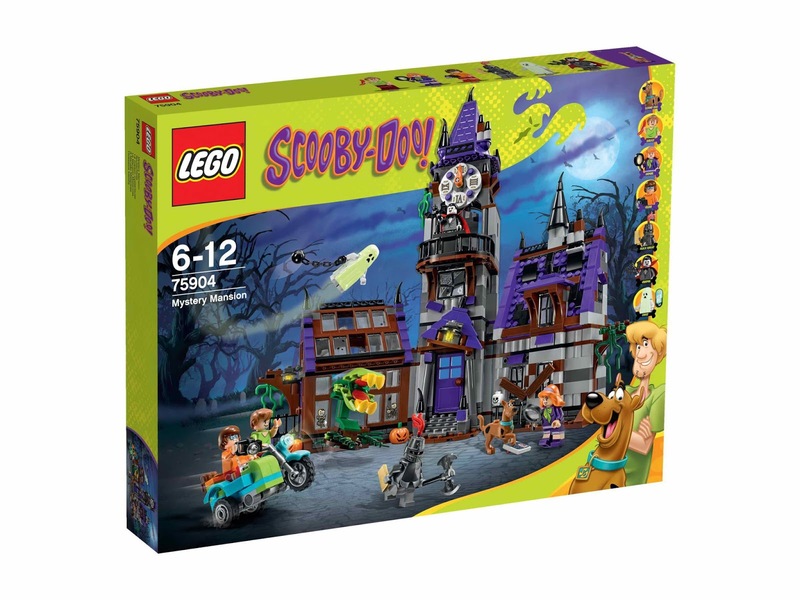 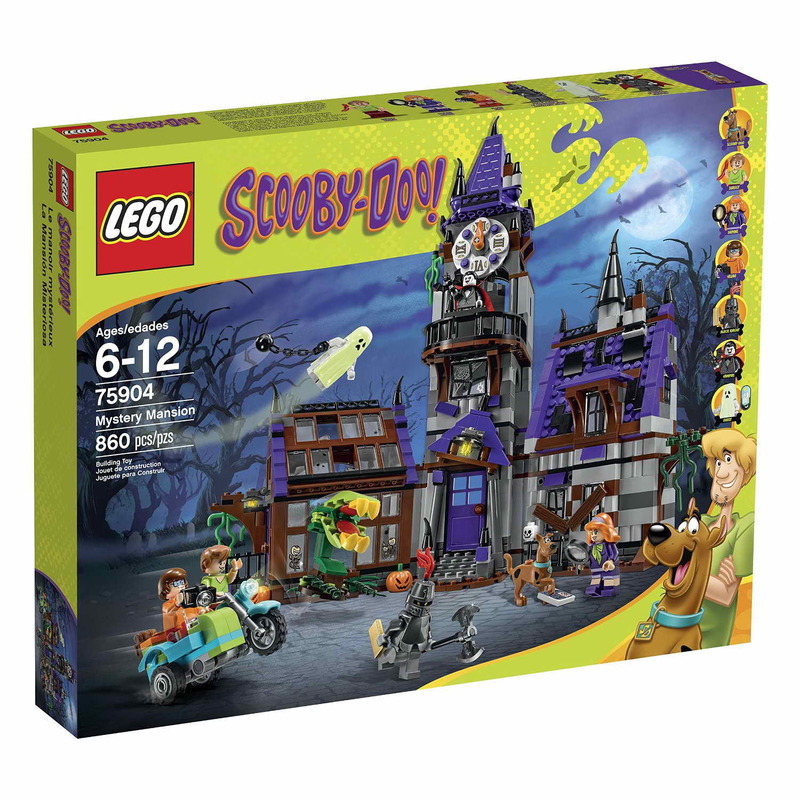 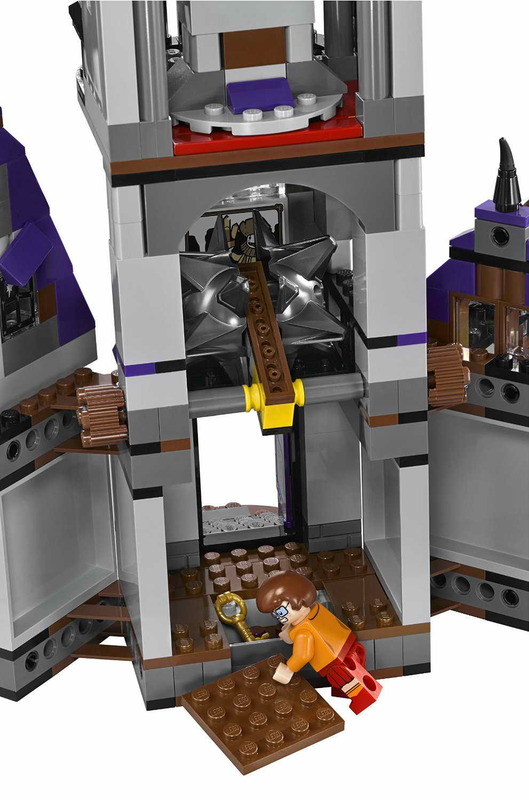 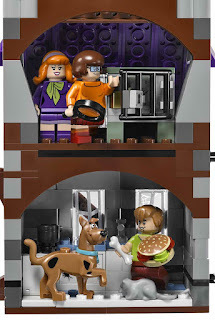 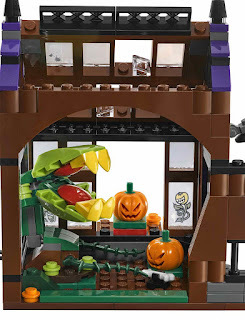 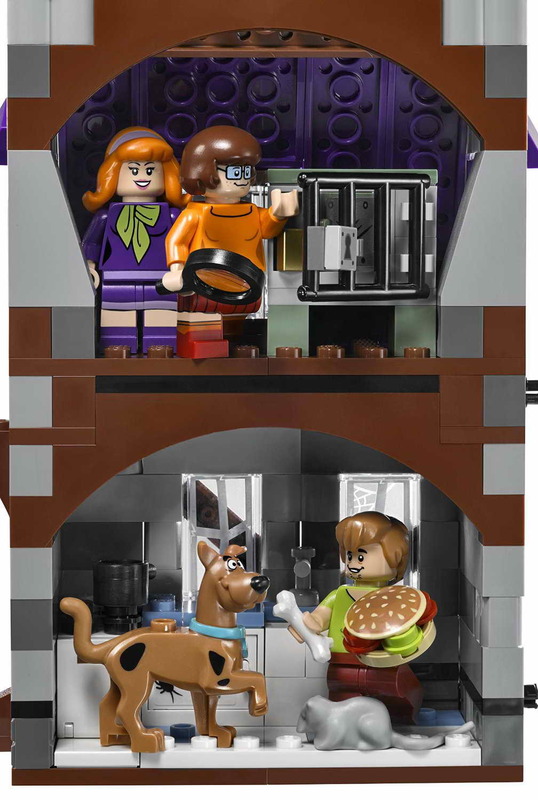 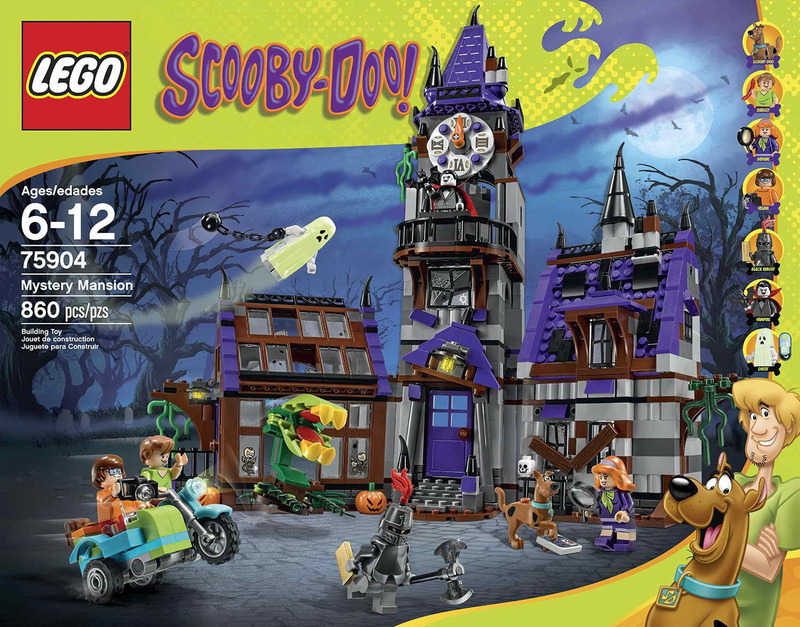 minifigs included a velma minifig, a daphne minifig, a shaggy minifig, a vampire / bob oakley minifig, a ghost / bluestone the great minifig, a black knight / mr wickles minifig.